Sunday morning December 14th 2014 Chef Budd was interviewed by Dennis Tardan on his Internet radio show. They chatted about all things having to do with farm to school, where the movement has been and where the movement is going. 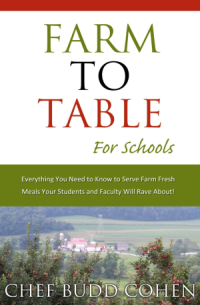 We talked about the history of the farm to table movement, and the most recent information about Farm to school feeding.